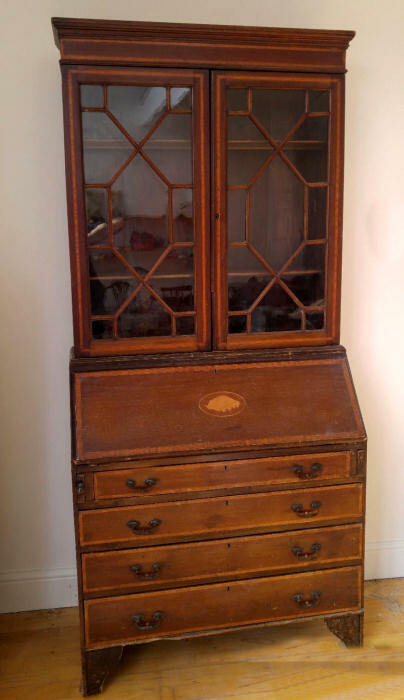 This lovely Edwardian Inlaid Bureau Bookcase has attractive conch inlay decoration to the fall of the bureau which opens to reveal a fitted interior. There are 4 slim drawers below with drop handles all banded in satinwood. 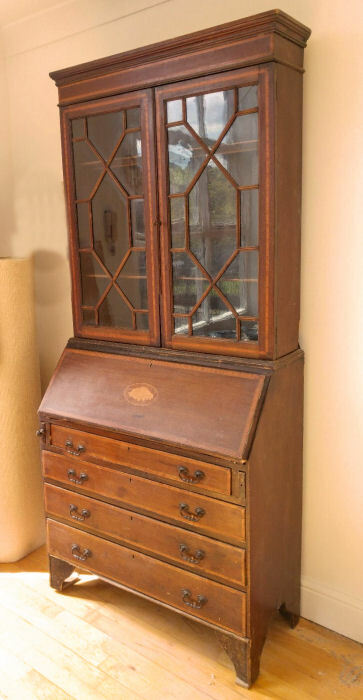 Above is an elegant tall bookcase section with 3 shelves and astragal glazed doors with working lock. A lovely piece, both practical and beautiful. This piece divides into 3 sections for ease of assembly.